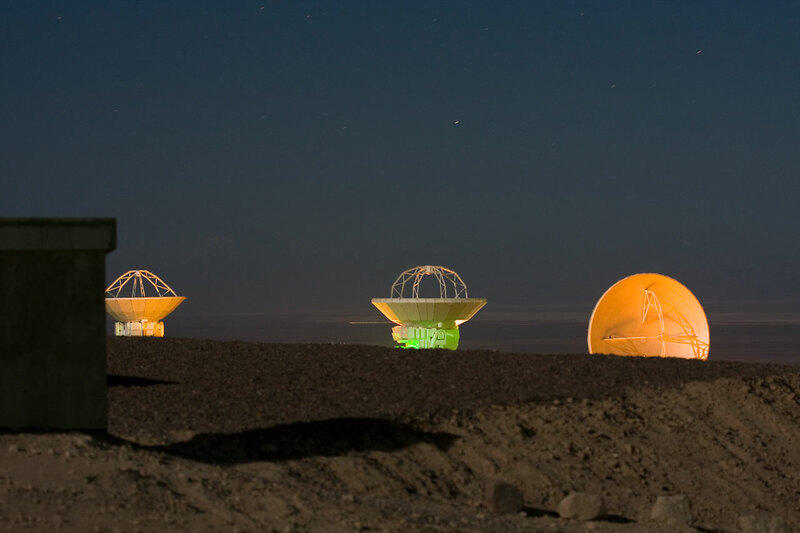 Some of the Atacama Large Millimeter/submillimeter Array (ALMA) antennas at the Operations Support Facility in the Chilean Andes, 2900 m above sea level. 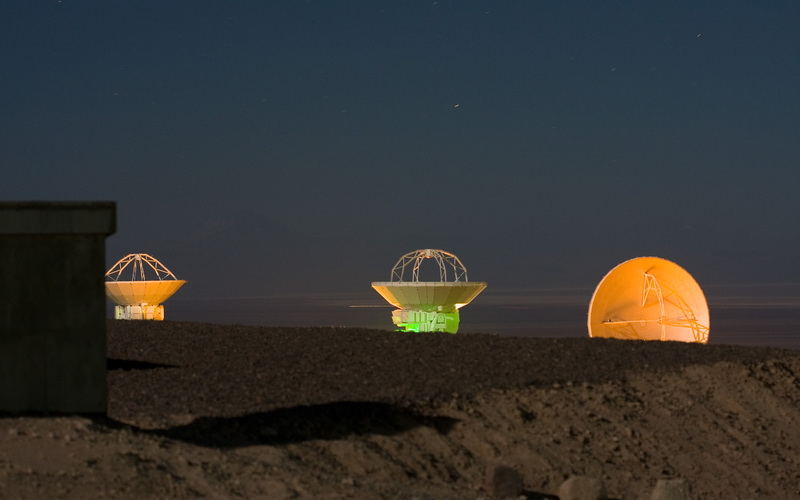 ALMA is the largest ground-based astronomy project in existence, and will be comprised of a giant array of 12-m submillimetre quality antennas, with baselines of several kilometres. An additional, compact array of 7-m and 12-m antennas will complement the main array. Construction of ALMA started in 2003 and will be completed in 2012. 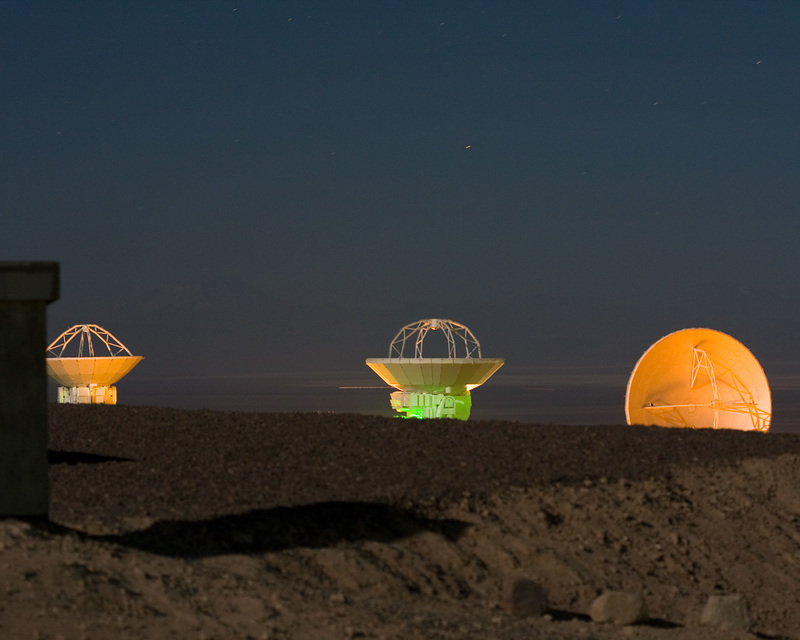 The ALMA project is an international collaboration between Europe, East Asia and North America in cooperation with the Republic of Chile.